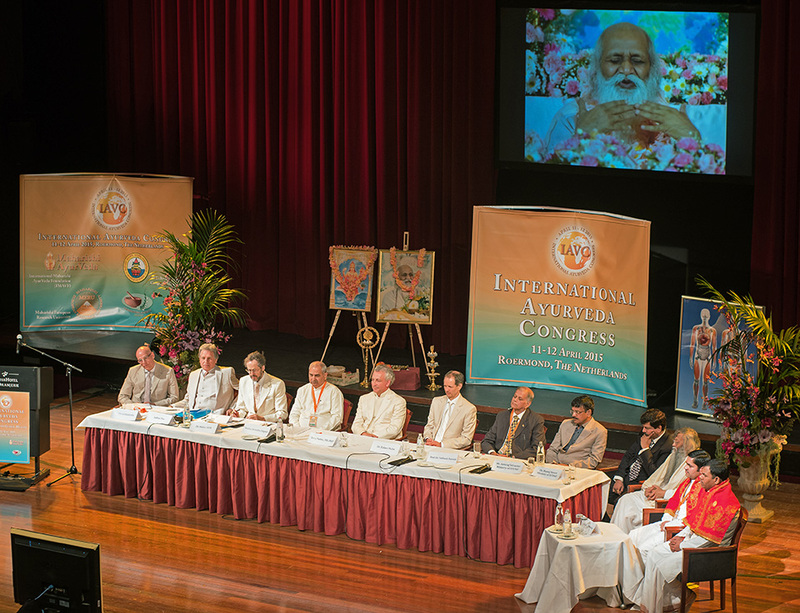 About 500 delegates and 50 expert speakers from over 50 countries convened to share their experiences at the International Ayurveda Congress, The Netherlands, 11–12 April 2015, including three high-ranking representatives of the Indian government. The event was the largest Ayurveda Congress held outside India to date. In his capacity as director of the organizing International Maharishi Ayurveda Foundation (IMAVF), Lothar Pirc was one of the event’s initiators and fulfilled the roles of moderator and speaker during the Congress. The Congress was organized jointly by IMAVF, the All-India Ayurvedic Congress comprising 350.000 Indian Ayurvedic physicians, and the International Academy of Ayurveda, Pune, India. The promising vision gained from this largest-ever Ayurveda Congress in Europe was: With the ancient, prevention-oriented health-care system of Ayurveda we can reverse the trend of exploding health-care costs.